Your donations support your friends and neighbors who are patients at Bethesda Health Clinic, and they also support people in developing countries. Not in good condition? No problem! For items that may not be good enough condition to sell in the store, please still bring them in! These items are still a valuable donation because the store is able to salvage them. The salvage group we work with donates usable items for use in 3rd world countries and recycles the materials of the non-usable items. This not only brings in additional proceeds that benefit a good cause here in Tyler at Bethesda Health Clinic, but can also benefit others around the world. So please donate your unwanted items regardless of the condition! 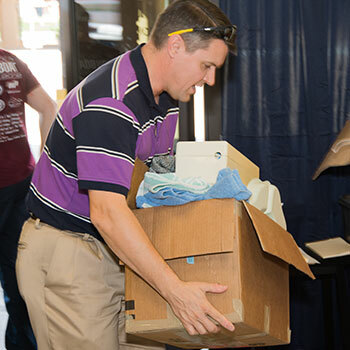 Our friendly donation center staff will gladly unload your donations from your vehicle.